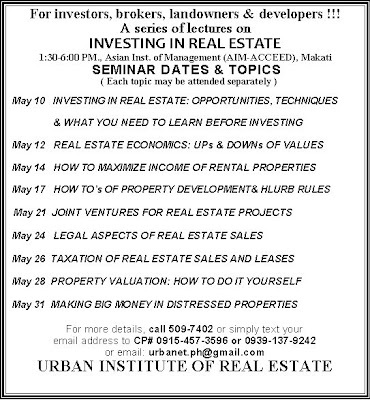 For topic descriptions for the lecture series Click here! Sign up above and LIKE us in Facebook to stay updated with us. Please share to your friends! 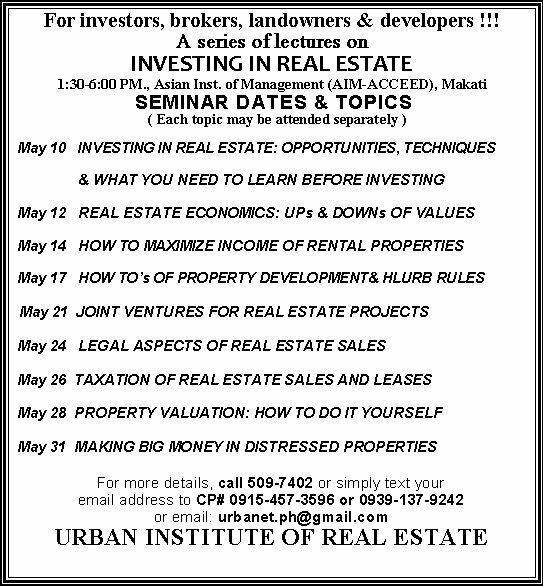 Urban Institute - "Real Estate, Real Learning"